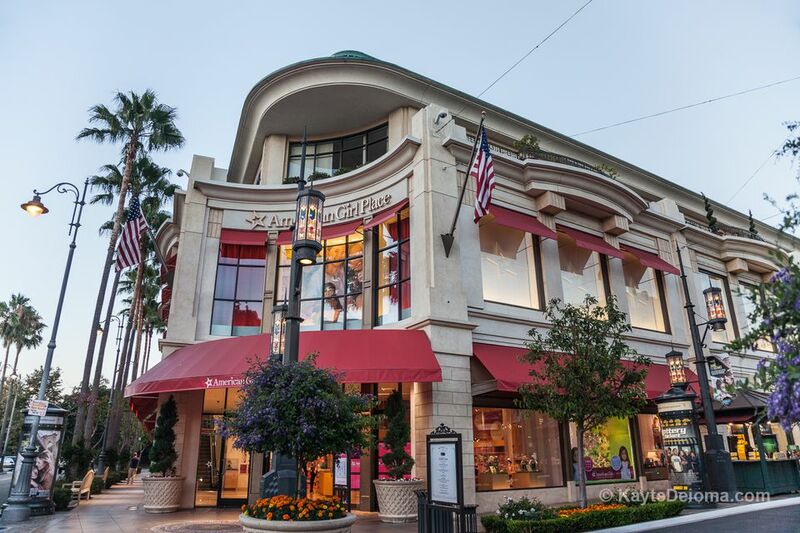 American Girl Place at The Grove in Los Angeles is every little girl's fantasy, with dolls representing various ages, ethnicities and myriad careers and hobbies, and, of course, accessories galore. There are also the hundreds of American girl books with wholesome stories of strong, independent girls. The piece de resistance is the American Girl Café, where girls, their dolls, and accompanying adults can enjoy the perfect tea party or a nutritious meal. If you're on a budget, investing in a $100+ doll and accouterments may be a challenge, and will likely lead to an American Girl addiction. Some families may find themselves spending between $500 to $1200 on a shopping spree at American Girl Place. But if you set expectations before you get to the store, you might get out with a $7 book. The doll store covers multiple themed rooms for contemporary dolls, historic dolls with period exhibits and the Bitty Baby doll store. You can also buy matching outfits for girls and their dolls. You can appreciate the store as sort of a cultural museum, even if you're not shopping. Girls can bring in their dolls to have their hair styled by one of the American Girl Salon's doll stylists. You can stay and learn some doll hairstyle tips, or drop the doll off for a new do and pick her up later. For a little extra, you can get your doll a facial scrub or have her ears pierced. If you just look at the dolls and their prices, you could be forgiven for only seeing the commerciality of American Girl Place. The bookstore, on the other hand, is chock full of resources to teach girls to have strong values through stories of historic and contemporary girls living through a variety of life situations. There are also mysteries, puzzles, journals, fitness and advice books for pre-teen girls. There are reading nooks in the bookstore, so you can spend some quality reading time right in the store. For a special treat, a three-course meal at the American Girl Cafe is a bargain, including appetizer, entree, dessert and a beverage. The lunch and dinner menus are very similar with a few extra items added for dinner. There's also a special afternoon tea menu. If your little princess doesn't have an American Girl doll, she can borrow one to sit with her in a custom doll seat that attaches to the table. There are even boy dolls so brothers don't feel left out. The American Girl Café is a popular spot to celebrate birthdays. For reservations, call 1-877-247-5223.